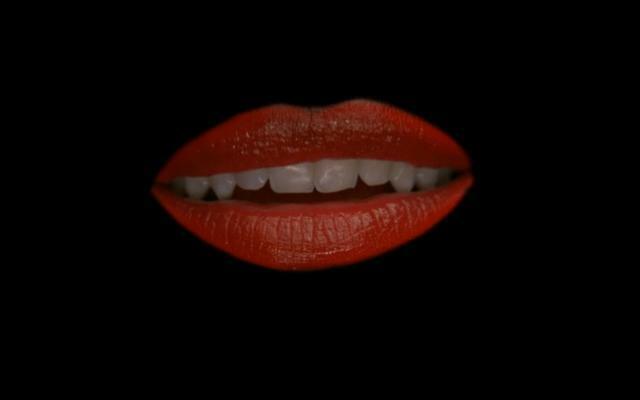 For my first review I thought I would review the cult classic Rocky Horror. People have raved about this film for years and at one in this morning this week I finally sat down to watch it. So the film starts off like a cheesy romance film and then it begins its transition to just plain weird with the song “Dammit, Janet”, which was one of the only things in the film I found bearable. The beginning of the creep fest that is about to come is hinted at by the presence of two very shady looking characters. It then continues like your typical horror flick and has the same level of ridiculousness as the Scary Movie franchise. Throughout the film the plot was boring, extravagant and ridiculously far-fetched. I felt like it was all some kind of ironic joke that I just didn’t get. I don’t like mouths… this was never going to go well. 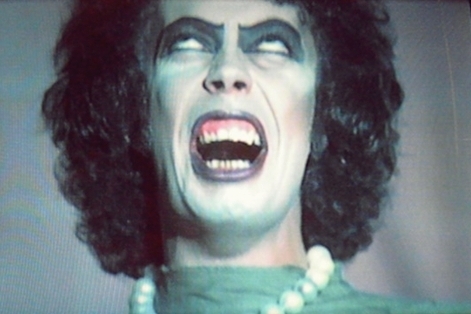 Tim Curry as a transvestite does absolutely nothing for the transgender community except portray them as sexualised freaks. He’s an absolutely foul person who we are supposed to feel sorry for in the end? He murders Eddy for no real reason. He tricks Brad and Janet into kissing him and then comes onto them despite protests with a “you know you want it really attitude”. It is then suggested that he has awoken Janets sexuality and she proceeds to come on to the creature Frank n Furter created. This haunts me. A lot. I found 90% of the film was just filler designed to try and be outrageous, to push the boundaries. I can see why some people have found enjoyment from this film. But personally I couldn’t identify a single entertaining or funny part of the film. The scene where Frank n Furter and Brad walk in on Janet and Rocky getting freaky and they all say each others names in shock repeatedly is a prime example to me of something I may have been amused by when I was five! The songs may have been the only redeeming quality to the film. They were catchy and fun. But that’s it. Lyrically they were awful and only continued to solidify the diabolical plot and fill time. In conclusion, it seems to me that the cast and crew got together and thought we’ll make the most random film ever stick in a catchy tune and have a hell of a lot of fun doing it. It’s a fun film, I’ll give it that, but I believe it is ridiculously over-rated. Next ›Hang On, What Happened To That Guy That Reviews Stuff?